Another year has passed and we have lots of plans for this year. I am booking all our fairs & events tor this year and will keep you informed as soon as they are confirmed. 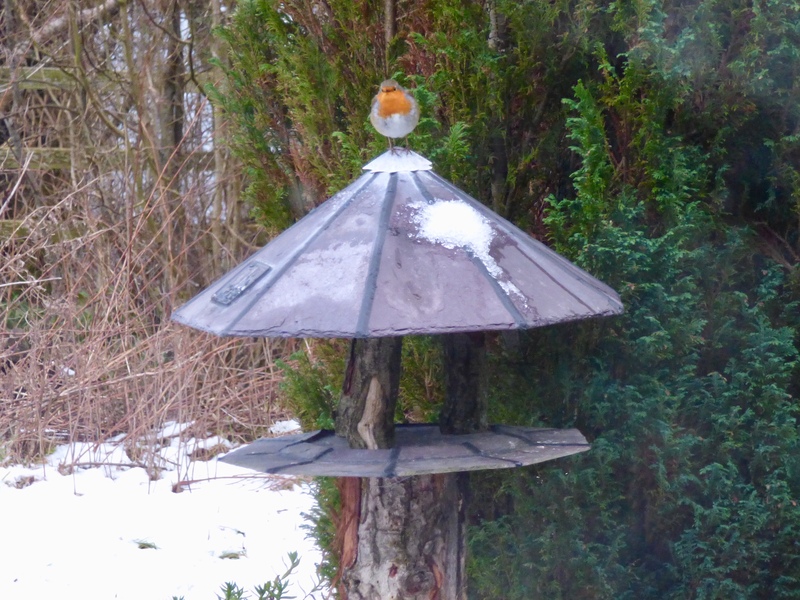 Pauline sent us this lovely picture of her Robin on the medium solar powered bird table; We are always interested in pictures of your Slate and Nature products, so please e-mail them or post them on our facebook page.